Home › Credit › How Your Spouse’s bad Credit Affects You? 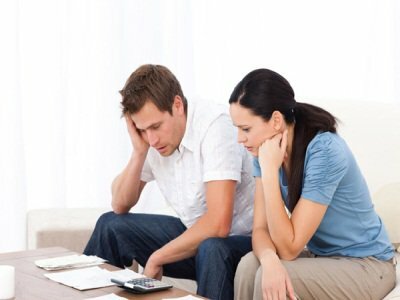 How Your Spouse’s bad Credit Affects You? You and your spouse are bound to have individualized credit scores and after marriage, both of you will keep your own credit score. But, you will be surprised to learn that if your spouse’s credit score is low, then the credit score of your spouse can affect you while applying for loans as a couple. This aspect will certainly prove to be extremely damaging to you especially when you are trying to procure mortgages, college loans for your kids or even while applying personal loans. Therefore, it is advisable to consult Your Personal Financial Mentor in order to manage your credit as well as the credit of your spouse. He will provide you reasonable steps to follow in order to improve the credit score of your spouse and yours. When you are applying for a mortgage, you are required to enter the income earned by both of you and this will certainly enhance your limit on the mortgage. Between you and your spouse, the credit score of the individual who has the larger income is considered. The mortgage is granted based on the person who has the larger income and the credit score of this individual is taken into consideration. But, if your spouse has a low credit score, then that is bound to affect your mortgage application, especially if your spouse has a large debt as the debt actually disables your capacity to pay back the mortgage. Many a times, it does happen that if your spouse has a foreclosure, then your mortgage is denied as well. Most of the parents apply for their children’s education loans as a couple and the major components which are considered in this matter are the income of both of the spouses, your debt and combined credit scores. In case one of you has a bad credit, then it will surely hurt the credit scores of both of you. In such cases, it would be wise to withdraw the individual application and you should try to get a loan in the name of the individual who has a better credit score. If you are trying to procure loans personally in connection to that of your spouse, then your spouses’ bad credit is bound to affect your loan application. However, in such cases, the wisest decision will be to get the loan on your personal terms without including your spouse details. Leaving your spouse from the loan application is the right thing to do in such cases. However, since the limits of the loan will be based on your income alone, mostly you will be able to get the loan only of smaller limits than what you originally planned for. « How to Choose Health Insurance Plan? December 9, 2013 How Your Spouse’s bad Credit Affects You?